Heavy rains over the weekend have again wreaked havoc upon the basement computer room at Catch Basin, our Kansas City headquarters. Fortunately, we didn’t repair the baseboards after the last cloudburst, so the monetary damage is slight. 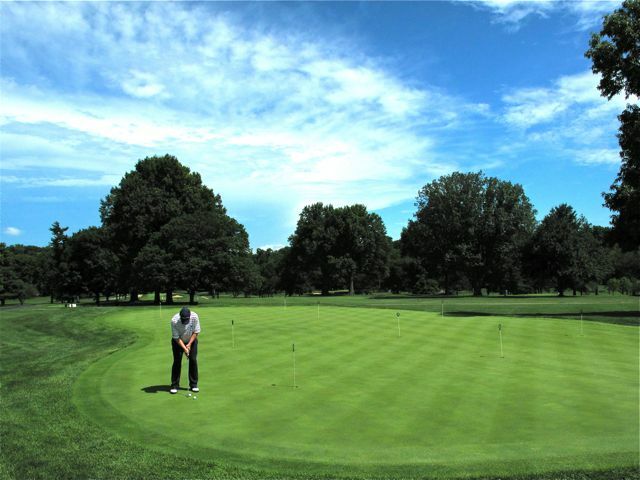 * The Watson Challenge — named, I believe, for former IBM president and chairman Thomas J. Watson — is an annual 54-hole invitational tournament for professional and amateur golfers in the Kansas City area. 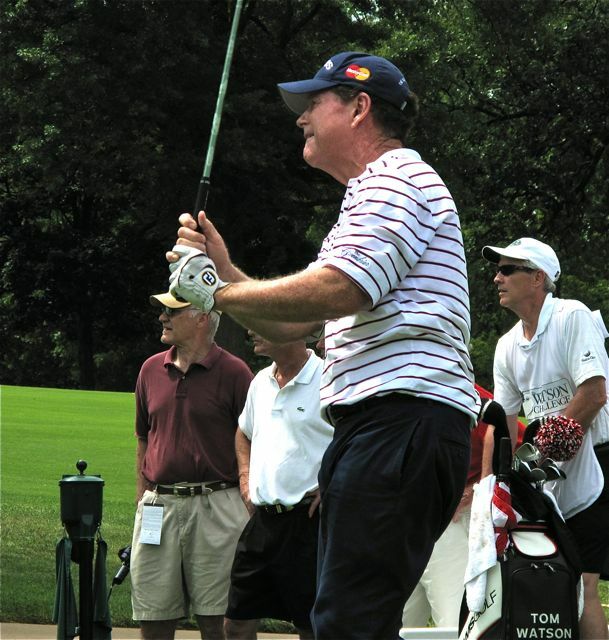 Tom Watson, the golfer, has won it the past three years, leading locals to grudgingly accept that he may, indeed, be the best golfer in town. ** Watson shot weekend rounds of 65-69 to edge legendary Asian Tour veteran Clay Devers, of Shawnee, Ks., by a stroke. Top 50 on TV: The U.S. Open is being played on the Pebble Beach Golf Links, No. 7. We’ll have a look at the layout on Wednesday and then ask our panel of experts to give their opinions on changes that were made in preparation for the Open. If their opinions conform to our own, we will post them here later in the week.